Retail parks can be very busy, especially over holidays and weekends. It can be very difficult to maintain a high level of a professional and welcoming look in such a busy area, especially when the last thing you want to be dealing with is car park extensions or something as simply as a cracked path. We understand that you may have far more on your plate than just dealing with an old crack, but unfortunately that very small crack or chip can be an eye sore or even get worse, becoming a potential hazard to someone is such a popular area. Don’t sit there and worry, simply give us a call. As a potential customer you can easily rely on our team to take the time and understand your specific requirements. Let us help take some of that weight of your shoulders. The Surfacing Company Ltd are very reliable, being in such a competitive industry. 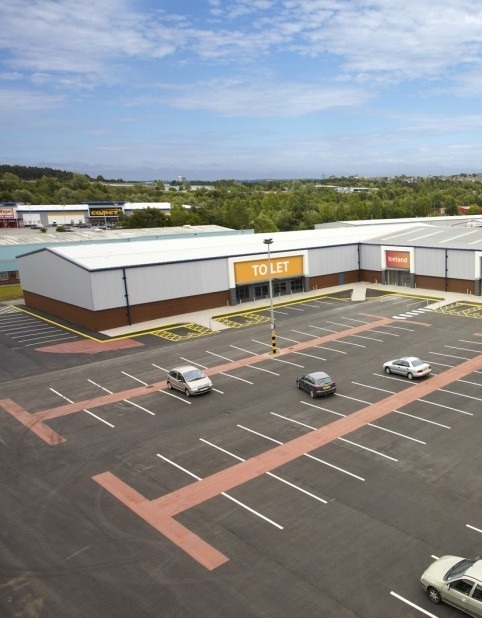 We know how busy a retail park can be, that is why our team have become incredible committed in delivering finished projects to you in no time. We run to a tight schedule which is purely worked around you to ensure we reach that time frame. The Surfacing Company Ltd deliver your requirements not only safely but efficiently, budgeted and to your very specific specifications.